In one form or another, hypnosis has existed since the beginning of time. For example, animals that hibernate are practicing one type of hypnosis. They are practicing self-hypnosis by closing down their bodies while allowing their mind and physical being to renew. Prior to the 1400’s, when a person was sick it was thought to be intentionally caused by the gods as punishment to mortal man. The healers of the time would have rituals that involved an altered state of mind, either in the sick person or the healer. Every ritual was different, but they typically involved natural remedies from the forest, fire, music and chanting. A common thread in these treatments is that the ill person would be trying to reach a mental place where the mind would take over the body. This would begin the process of body healing. By believing they were being healed, the power of the mind was unleashed. There was mention in written documentation of hypnosis as early as the 3rd century in Egypt. The 18th century was a popular time for hypnosis, when Franz Anton Mesmer, an Austrian doctor, found he was capable of healing people of illnesses without surgery or medicine. His studies led him to believe that the body was regulated by a magnetic force, and the use of magnets and hypnosis healed people. The term Animal Magnetism resulted from his work to describe the attraction that living organisms have to each other. This type of hypnosis, was called “Mesmerism”, and was very popular and successful. The term “Mesmerized” was used to describe the state where people would “daydream” or “zone out” into a hypnotic state. The modern study of hypnotism is usually considered to have begun in the 1920s with Clark Leonard Hull (1884–1952) at Yale University. An experimental psychologist, Hull’s studies emphatically demonstrated once and for all, that hypnosis had no connection with sleep. Milton Erickson (1901 – 1980) is considered by many, to be the Pioneer of modern day hypnosis. His approach treats every client as an individual, adapting the technique to the client rather than measuring the subjects against the technique. He no longer viewed trance, as something strange that had to be induced with a formula, Erickson saw trance as a natural experience which everyone engages in on a regular basis. Thus, rather than trying to force people into trance and program them for the behaviors he wanted, Erickson sought to “utilize” whatever behaviors his patients presented and shift them into a trance which is more useful than the one they’d been experiencing. Unlike the Freudian view, that the unconscious is a dark and scary place, from which our problems arise, Erickson viewed the unconscious as a wise, powerful, and benevolent resource from which the solutions to our problems would arise. Since that time, a great deal of scientific study of the mind and brain has provided much greater insight into what happens on the physical and electrical level, during hypnosis, but there are still many unanswered questions. In the 1970s, Richard Bandler and John Grinder co-founded a school of thought called Neuro-Linguistic Programming (NLP), in which they drew on ideas from several successful therapists and scholars, including Milton Erickson. They carefully analyzed Erickson’s utterances in order to develop language patterns they found to be useful in facilitating change, without a formal hypnotic induction. Hypnosis is not a “medical treatment” or in any way intended to replace physician care, or prescribed treatments or medications for any affliction. Instead, hypnosis is often used, in conjunction with, prescribed medical treatment to enhance the results. 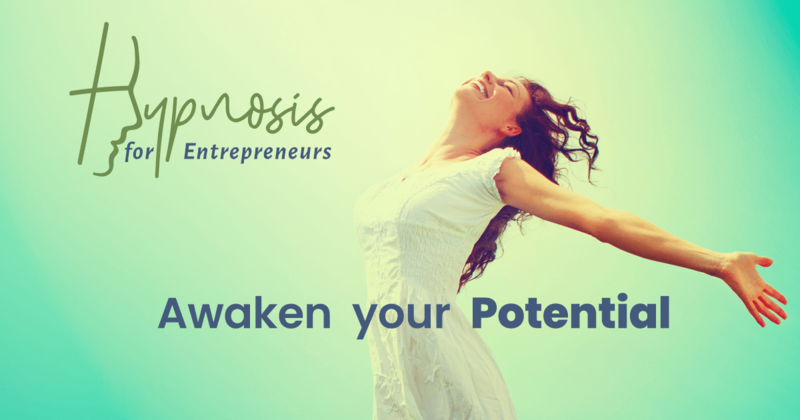 If your life is not what you would like it to be, the advantages of hypnosis can help you to discover the cause and improve your mindset. Hypnosis is helpful in dealing with issues or habits you no longer want to control your life. For example, habits such as smoking, overeating, or reacting to events inappropriately when stressed or anxious can have a major impact on your feelings of self-worth and self-confidence. Hypnosis and self-hypnosis are tools, used to modify your reaction to external factors and eliminate any inappropriate behaviors. In order to make a lasting positive change in your life, you need to identify the root of the problem. Once the source has been found, you can fix it. For example, if your problem is over-eating, it is highly likely that the root of the problem actually has little to do with the food itself, rather it is something emotional. Therefore, the goal of the Hypnotist is to find the emotional issue that is causing you to eat rather than focus on diet or food choices. You will not benefit, from the advantages of hypnosis, if you are trying to fix symptoms instead of the real reason for the problem. Perhaps your issues involve a known or unknown mental block which results in the subconscious getting in the way of change. If the learned behavior is ingrained in your personality it may be impossible to change, without accessing the subconscious mind directly. The advantages of hypnosis allow us to access the subconscious and make the changes necessary. Using hypnosis to discover the “real” source of the problem will help you, and your therapist, to create suggestions which will modify the reaction to the outside trigger. During the discovery process, ask yourself probing questions that involve the who, what, when, where, and why. Who is associated with the problem? Is there a location trigger that could be associated with the source of the problem? When did the problem first start in your life? What, in particular, sparks the behavior? The answers to these questions will provide insight into the cause of your issues and will be helpful when determining how to address them. During the hypnosis sessions, you will be able to clarify and focus on the root cause. A series of suggestions will help you to overcome or replace the negative feelings with positive reactions. You may be able to arrange to obtain a recording of your session, to use in self-hypnosis sessions at home, to help you strengthen the resolve to make the changes necessary. Hypnosis is difficult to define as people go in and out of a hypnotic-type consciousness every day. Hypnosis compares to daydreaming, in that you are still completely a part of your surroundings, however, your mind wanders. In hypnosis, the hypnotist gives suggestions to guide a person through a mental journey. 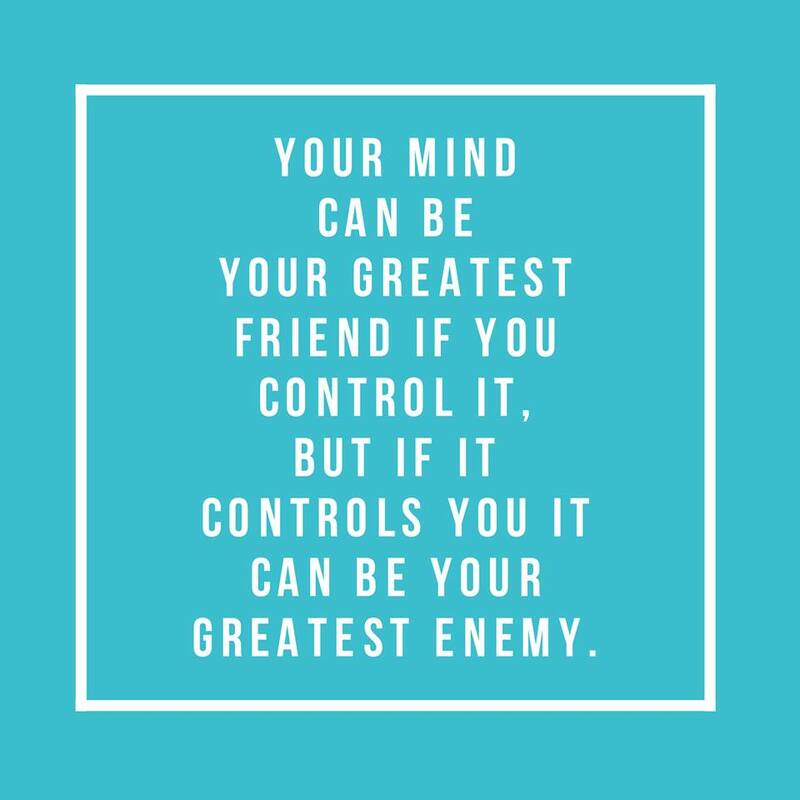 By guiding you through your subconscious mind, you will receive suggestions which will help you successfully make changes to any self-limiting behaviors, by substituting positive thoughts and behavior. Hypnosis works because it directly affects your subconscious mind, which lacks the ability to reason. Since it cannot reason, it accepts and acts upon the conscious mind’s suggestions. Before the conscious mind can be used as a tool in change, the five states mentioned above need to be in place. Research has determined that the conscious mind only takes up 10% of the human brain. Conscious activities are what you do that interacts with the environment around you. The remaining 90% of your brain is the subconscious mind which handles the body’s functions- such as breathing, blinking, muscular and skeletal interactions, and even cellular activity. The subconscious includes creativity and intuition, as well as emotion and rational/irrational behavior. Therefore the subconscious mind influences the conscious mind and is believed to be the more powerful of the two. Unfortunately, the subconscious mind draws illogical rationalizations which lead to negative behaviors. The saving grace is that the subconscious mind can be reprogrammed. There is a gatekeeper, between the conscious and subconscious mind called the “Critical Factor” which has the power to take in or reject suggestions. When the Critical Factor sees change as threatening, it rejects the suggestion outright, to protect the mind and body. Any suggestion which is not compatible with what is programmed in the subconscious will be rejected unless the Critical Factor is bypassed. Once this is accomplished the process will go past emotion, memories, and habits and real change can occur. It is a well known fact that exercise can alleviate depression and transform your day from gloom to enjoyment. Getting outside and exercising gets your heart pumping and gives you the fresh air and sunshine your body craves. Exercising indoors can help too but missing out on the fresh air is robbing you of the pleasures of nature. When you increase your heart rate through exercise, you increase the volume of blood flowing through your body. Endorphins, also known as feel-good hormones, are released resulting in an elevated mood and reduction in feelings of depression. In fact, many doctors recommend regular exercise to their depressed patients. It is a chemical and medication free treatment and encourages movement and activities in older adults to keep their joints working. It may not be the ultimate cure for everyone, but you can exercise your way out of a winter depression. Take a daily walk – Unless the weather is unsafe, there are a lot of value to getting out into the fresh air and sunshine. The sunshine stimulates the production of vitamin D which improves mood. It also helps your body manage stress and taking a walk gets your body moving without the pressure of fitness performance. The goal for good fitness includes walking for twenty to thirty minutes a day. Stretch – Yoga, and other exercise programs that use mental focus, help you accomplish two things. They help you get your blood flowing to your muscles releasing endorphins. These exercises also help you to become mindful and focused, pulling you into the moment. You can feel calm, in control, and centered instead of worrying about tomorrow or regretting yesterday. Dance and play – Many adults forget how to play! They forget about joy and laughter and often do not participate in activities they used to love. Find something that makes you laugh or brings joy, such as dance, martial arts, jumping rope or even riding your bicycle. Run or jog – Running or fast walking, is a great way to burn calories and improve your fitness. If you are physically able to run even a short distance start with that. Fast walking will also help you to condition the body for running if you are out of shape. It is not about performance, speed and distance. You can simply embrace the activity as a fitness seeker. The health benefits are similar, the goal is to help boost your mental and physical health. Swim – One of the reasons we can become depressed during the winter is the cold, gray weather and lack of fun activities. Join a swim club or find a gym with a pool where the warm water and the bright lights will help you feel better. If swimming laps isn’t your thing, join a fun water aerobics class. You can laugh and socialize while you get fit. Meditation / Hypnosis – Working on mindfulness can also have a major impact on your outlook and mood and help to relieve depression. There are may recorded sessions, such as the one below which can help you to focus on your internal thoughts and to visualize your favorite time of year. In addition to the mental and physical benefits, which exercise offers, you will find you sleep better. Poor sleep patterns are often a sign of depression. Simply exercising and getting more and deeper sleep, can help you beat the winter blues. Seasonal Affective Disorder and related depression is real and may require treatment by a physician. If your feelings of depression are intense or you feel out of control, you should consult with a physician immediately. These suggestions are intended for minor incidences of Seasonal Affective Disorder and not to be considered medical advice or a treatment program.